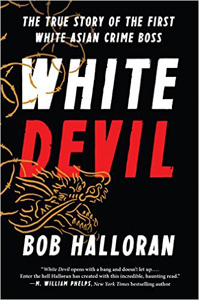 Bob Halloran, a special guest on this segment of Monday Night Talk, is an award winning journalist, movie consultant, sports writer and author, who recently released his newest book, White Devil: The True Story of the First White Asian Crime Boss. 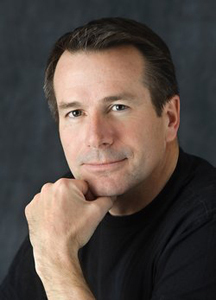 Bob share insight into the book's main character; John Willis, aka White Devil, the only white man to ever rise through the ranks in the Chinese mafia. Willis began as an enforcer, riding around with other gang members to “encourage” people to pay their debts. He soon graduated to even more dangerous work as a full-fledged gang member, barely escaping with his life on several occasions. Do you have an topic for a future show or info on an upcoming community event? Email us at mondaynighttalk@gmail.com or "like" and post a comment on our Facebook page: www.facebook.com/mondaynighttalkon959fmwatd. If you're a fan of the show and enjoy our segments, you can either download your favorite segment from this site or subscribe to our podcasts through iTunes today! © Monday Night Talk with Kevin Tocci - 2016. Unauthorized use and/or duplication of this material without express and written permission from the show host and/or owner is strictly prohibited. 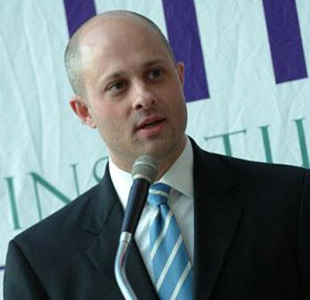 Paul Craney, Executive Director of Massachusetts Fiscal Alliance is a guest during this segment of Monday Night Talk! Paul chats with hosts Kevin Tocci, State Rep Geoff Diehl and Joe Rossi about seeking the expulsion of State Senator Brian Joyce, who's law practice is being investigated by the FBI and IRS. 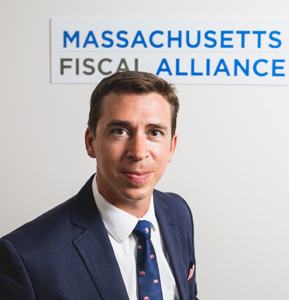 To learn more about the Massachusetts Fiscal Alliance, visit their website, www.massfiscal.org/. Do you have an topic for a future show or info on an upcoming community event? Email us at mondaynighttalk@gmail.com or "like" and post a comment on our Facebook page: www.facebook.com/mondaynighttalkon959fmwatd. If you're a fan of the show and enjoy our segments, you can either download your favorite segment from this site or subscribe to our podcasts through iTunes today! © Monday Night Talk with Kevin Tocci - 2016. Unauthorized use and/or duplication of this material without express and written permission from the show host and/or owner is strictly prohibited. Dr Peter Ubertaccio is a guest during this segment of Monday Night Talk! Peter, who is an associate dean of Interdisciplinary Programs, associate professor of political science and Director of the Martin Institute for Law & Society, joins hosts Kevin Tocci, State Rep Geoff Diehl and Joe Rossi to talk about the latest development with the race to be the next president, as candidates are less than a week from Super Tuesday. Do you have an topic for a future show or info on an upcoming community event? Email us at mondaynighttalk@gmail.com or "like" and post a comment on our Facebook page: www.facebook.com/mondaynighttalkon959fmwatd. If you're a fan of the show and enjoy our segments, you can either download your favorite segment from this site or subscribe to our podcasts through iTunes today! © Monday Night Talk with Kevin Tocci - 2016. Unauthorized use and/or duplication of this material without express and written permission from the show host and/or owner is strictly prohibited. 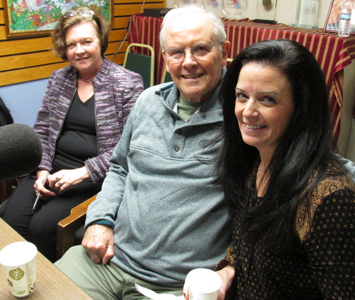 Brenda Karkos, the director for Hospice of the South Shore along with Paul Connolly and Liz Gilmore, members of this year's Honorary Family, are guests on this segment of Monday Night Talk. Brenda, Liz and Paul join hosts Kevin Tocci, State Rep Geoff Diehl and Joe Rossi to discuss the upcoming 25th Annual Walk For Hospice fundraiser being held on Saturday, March 19 at South Shore Plaza in Braintree. Hospice of the South Shore provides end-of-life care and bereavement services to 500 South Shore families annually. In addition to providing end-of-life care for individuals, Hospice care also teaches family members to comfort and care for their loved one and for each other. No patient is turned away, regardless of ability to pay. The Walk for Hospice began 25 years ago when 100 walkers gathered at the Hanover Mall to raise money. That group has expanded as the need for Hospice services has grown. The Walk is now a family-friendly event with more than 100 teams. For more information or to register for the walk, please visit www.southshorehospital.org/walkforhospice. Do you have an topic for a future show or info on an upcoming community event? Email us at mondaynighttalk@gmail.com or "like" and post a comment on our Facebook page: www.facebook.com/mondaynighttalkon959fmwatd. If you're a fan of the show and enjoy our segments, you can either download your favorite segment from this site or subscribe to our podcasts through iTunes today! © Monday Night Talk with Kevin Tocci - 2016. Unauthorized use and/or duplication of this material without express and written permission from the show host and/or owner is strictly prohibited. 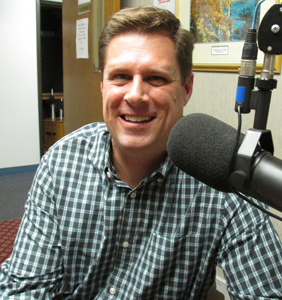 State Rep Geoff Diehl is a guest on this episode of Monday Night Talk! 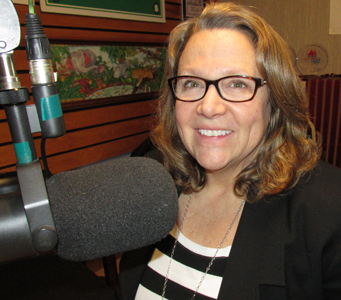 Rep Diehl, who alspo co-host this week's program, talks about hosting a CPR/AED training at the state house, the opioid bill that's in committee and much more! For more information about Rep Diehl, visit his website, www.geoffdiehl.com/. Do you have an topic for a future show or info on an upcoming community event? Email us at mondaynighttalk@gmail.com or "like" and post a comment on our Facebook page: www.facebook.com/mondaynighttalkon959fmwatd. If you're a fan of the show and enjoy our segments, you can either download your favorite segment from this site or subscribe to our podcasts through iTunes today! © Monday Night Talk with Kevin Tocci - 2016. Unauthorized use and/or duplication of this material without express and written permission from the show host and/or owner is strictly prohibited. Michael Ganshirt, President of Whitman & Hanson Dollars for Scholars is a guest for this segment of Monday Night Talk! Michael joins Kevin Tocci and Richard Rosen to discuss the organization work to raise more scholarships and some of their upcoming fundraisers including the 9th Annual Taste of Whitman & Hanson on March 3rd at the Whitman VFW Post 697. To learn more about Whitman & Hanson Dollars for Scholars or see a list of their upcoming events, visit whitmanandhanson.dollarsforscholars.org/. Do you have an topic for a future show or info on an upcoming community event? Email us at mondaynighttalk@gmail.com or "like" and post a comment on our Facebook page: www.facebook.com/mondaynighttalkon959fmwatd. If you're a fan of the show and enjoy our segments, you can either download your favorite segment from this site or subscribe to our podcasts through iTunes today! © Monday Night Talk with Kevin Tocci - 2015. Unauthorized use and/or duplication of this material without express and written permission from the show host and/or owner is strictly prohibited. 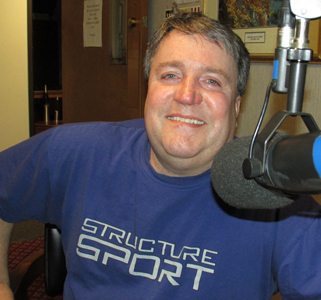 Local business owner Richard Rosen is a guest on during this segment of Monday Night Talk! Richard, who is the owner of McGuiggan's Pub, discusses the latest with his restaurant, including the addition of American chop suey to the menu, plus upcoming events like St. Patrick's Day and the pub's annual adult scavenger hunt (better known as M.A.S,H.) and much more! To find out more about the menu or upcoming events at the pub, visit the website; www.mcguigganspub.com. Do you have an topic for a future show or info on an upcoming community event? Email us at mondaynighttalk@gmail.com or "like" and post a comment on our Facebook page: www.facebook.com/mondaynighttalkon959fmwatd. If you're a fan of the show and enjoy our segments, you can either download your favorite segment from this site or subscribe to our podcasts through iTunes today! © Monday Night Talk with Kevin Tocci - 2015. Unauthorized use and/or duplication of this material without express and written permission from the show host and/or owner is strictly prohibited. 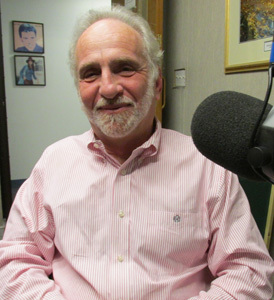 Massachusetts State Representative candidate Vince Cogliano is a guest during this segment of Monday Night Talk.Vince joins Kevin Tocci and Richard Rosen to discuss his run for the 6th Plymouth District State Representative's seat, which covers the towns of Pembroke, Duxbury and Hanson and what he feels are some of the issues in the race. To find out more about Vince's campaign, visit his website, www.coglianoforstaterep.com/. Do you have an topic for a future show or info on an upcoming community event? Email us at mondaynighttalk@gmail.com or "like" and post a comment on our Facebook page: www.facebook.com/mondaynighttalkon959fmwatd. If you're a fan of the show and enjoy our segments, you can either download your favorite segment from this site or subscribe to our podcasts through iTunes today! © Monday Night Talk with Kevin Tocci - 2016. Unauthorized use and/or duplication of this material without express and written permission from the show host and/or owner is strictly prohibited. 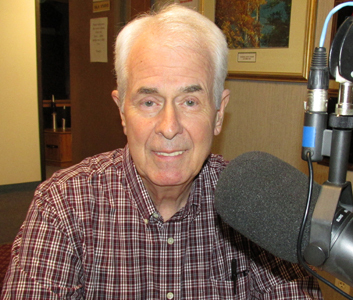 Former State Representative, State Treasurer and 2002 Gubernatorial candidate Shannon O'Brien is a guest during this segment of Monday Night Talk! Shannon joins Kevin Tocci and Richard Rosen to discuss the latest happenings with the 2016 Presidential Democratic and Republican candidates as the approach Super Tuesday on March 1st. Do you have an topic for a future show or info on an upcoming community event? Email us at mondaynighttalk@gmail.com or "like" and post a comment on our Facebook page: www.facebook.com/mondaynighttalkon959fmwatd. If you're a fan of the show and enjoy our segments, you can either download your favorite segment from this site or subscribe to our podcasts through iTunes today! © Monday Night Talk with Kevin Tocci - 2016. Unauthorized use and/or duplication of this material without express and written permission from the show host and/or owner is strictly prohibited. 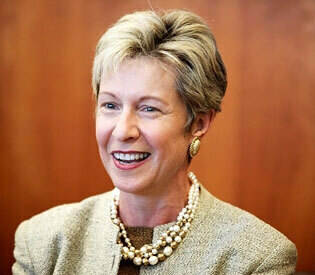 State Auditor Suzanne Bump is a guest during this segment of Monday Night Talk. Auditor Bump talks with Kevin Tocci and Richard Rosen about her office’s Bureau of Special Investigations identifying a record $13.7 million in public assistance benefits fraud in Fiscal Year 2015. She also discusses her office being part of the formation of the Interagency Group on Illegal Prescribing, which will investigate and prosecute prescribers, pharmacists and others who contribute to the opioid epidemic by illegally prescribing or dispensing pills. For more information about the Massachusetts State Auditors office, visit their website, www.mass.gov/auditor. Do you have an topic for a future show or info on an upcoming community event? Email us at mondaynighttalk@gmail.com or "like" and post a comment on our Facebook page: www.facebook.com/mondaynighttalkon959fmwatd. If you're a fan of the show and enjoy our segments, you can either download your favorite segment from this site or subscribe to our podcasts through iTunes today! © Monday Night Talk with Kevin Tocci - 2016. Unauthorized use and/or duplication of this material without express and written permission from the show host and/or owner is strictly prohibited.